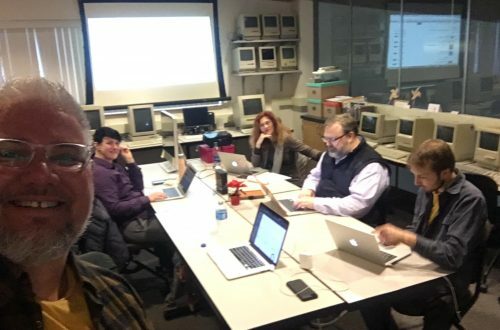 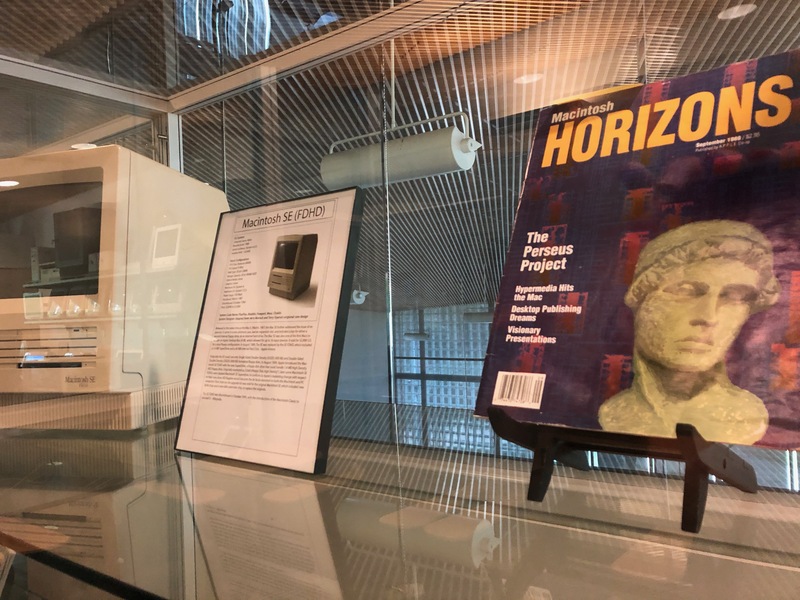 “The Art and Science of Hypertext” highlights the way in which hypertext was envisioned and articulated from the late 1980s to the early 2000s. The exhibit features scholarly articles published in ACM Hypertext book of proceedings to hypertext fiction to software and user’s manuals for authoring systems, to the very computers that showcased works, and many other artifacts in an effort to show the deep connection between theory and practice that gave way to innovation and a new form of art. 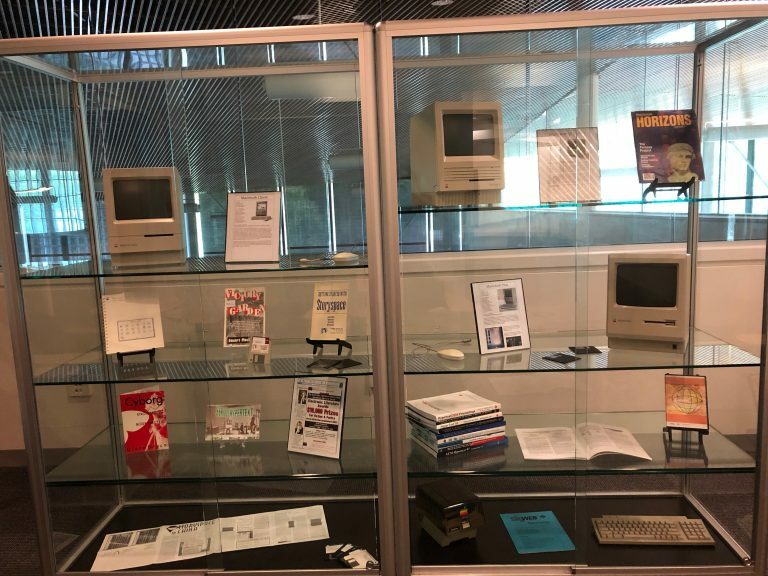 Special Note: All materials are part of the Electronic Literature Lab’s permanent collection, unless noted otherwise. 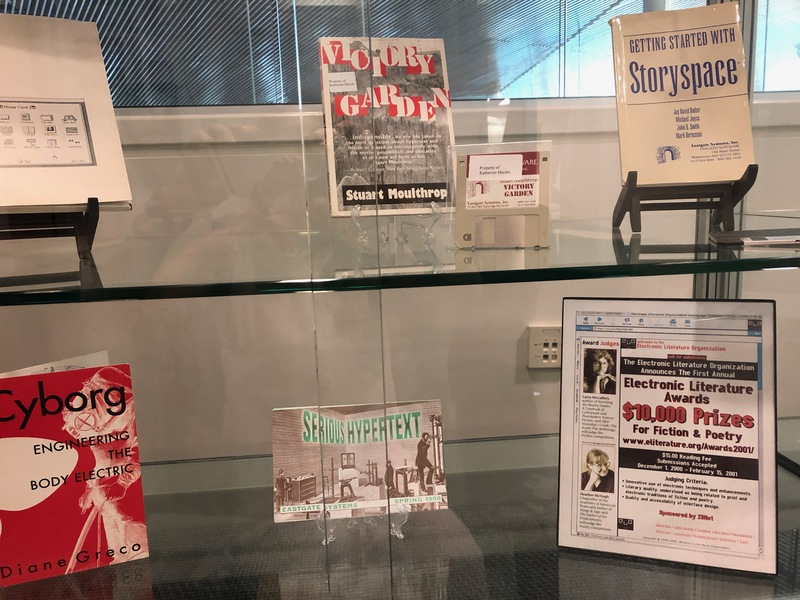 Getting Started with Storyspace, manual published by Eastgate Systems, Inc. 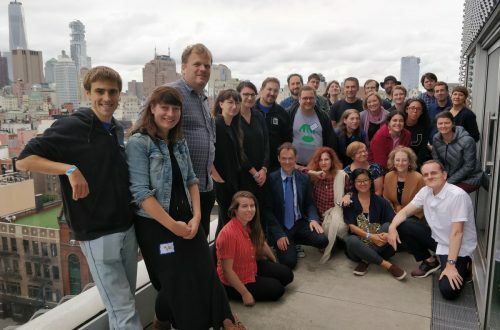 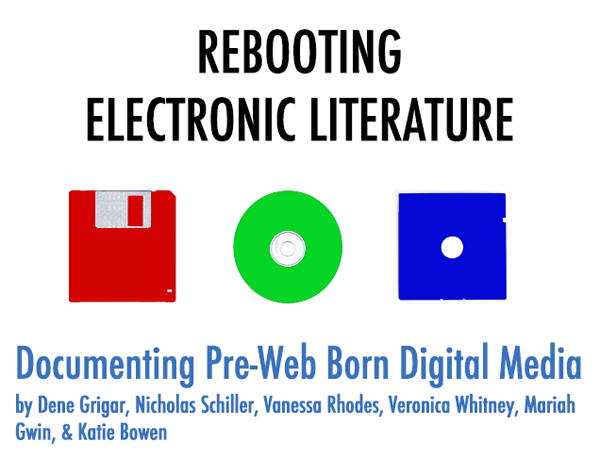 Announcing the Publication of Rebooting Electronic Literature!